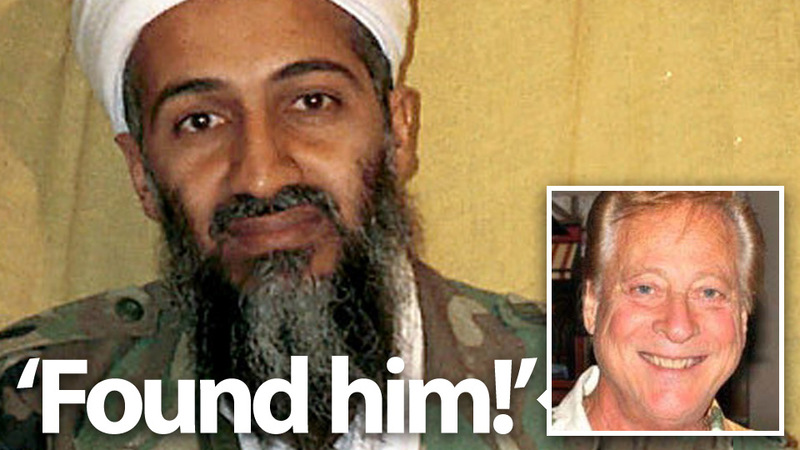 That smiling guy is Bill Warren, the Californian treasure hunter who claimed he was searching for Osama Bin Laden's dead body back in June 2011. He didn't find him then, but now he claims he has located the cadaver. I've located where they threw him away. I'm the only one with this information. He's 200 miles to the west of the Indian city of Surat. Warren — who claims he has discovered more than 200 shipwrecks during his career as a treasure-hunter — says that bin Laden's body is in a bag at that same location, deep under water. His thought is that, since the US Navy weighted down the bag, the body hasn't moved from where it was dropped. He is now trying to rent Russian deep-diving equipment to locate his payload and to conduct DNA tests once he finds him. At least, that's what he believes. After I read his claims, I thought he maybe got the information from some loose-lipped sailor. However, he says he pinpointed the drop point from photos recently released by the US Navy. He says he's aiming at starting the mission on June 1 and that he may be able to find the body in "under a week". He also claims that the search would last a maximum of three months. If the US Government doesn't kill him or sink his boat, that is — something that he declares is his only fear. Warren is now searching for $US200,000 to finance the whole operation (Bill, I suggest Kickstarter). He wouldn't have needed that money had he located the Trinidad, the famous Spanish ship loaded with Aztec gold that sunk in the coast of California in 1540. Warren has repeatedly tried to locate that treasure, once in 1976 and then again in 1987. Back then he claimed he had located that ship, but obviously he didn't. The same could probably be true with Bin Laden's body. It's highly unlikely that, even if he were right about the location — and again, there's very little chance he is — he would be able to find a body bag in the bottom of the deep sea. Warren says he is doing this because he doesn't "believe the Obama administration" and he wants to have proof that it is really his body. But, if he doesn't believe President Obama and the United States Navy, why would the body be down there at all? If he thinks that they are lying, the most logical thing is to believe that they never buried the body at sea. In fact, if you follow Warren's train of thought to its logical conclusion, then Osama bin Laden is alive and well, playing cards and drinking mai tais with Elvis and Marilyn, in that secret government paradise island in the middle of the Pacific.